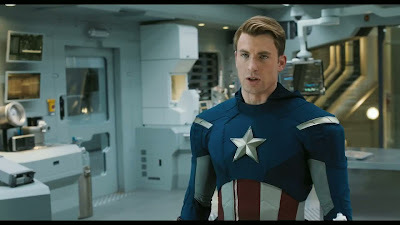 Nearly one year ago to the day when I was reacting to the TV spot for Captain America: The First Avenger (2011) I'm now digesting this year's spot for The Avengers (2012). It's almost hard to believe that this film is finally going to exist. It almost doesn't matter if it's good or not; the fact that there will now be a film that links up various Marvel franchises into one team is the important thing. It's one thing to have these isolated, origin story films like the first Fantastic Four and Spider-Man flicks, but it's a good deal more awesome to finally have a film based on one of Marvel's most popular team titles hit movie screens. 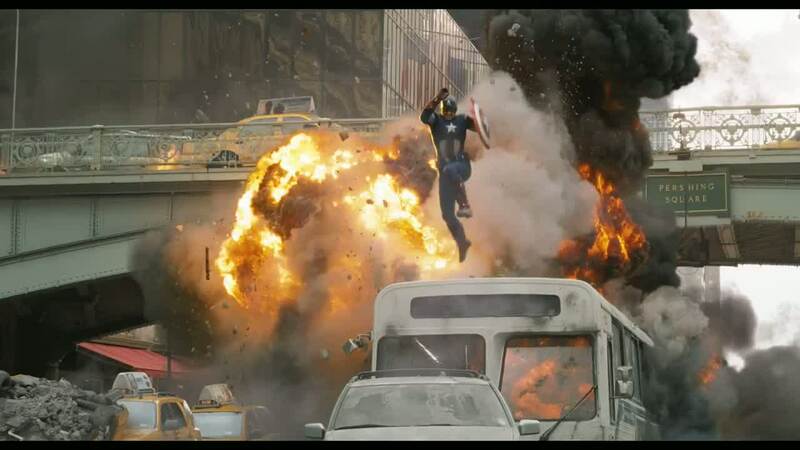 It feels like this is going to be the first film that adequately gives a sense of the riches of the Marvel Universe. The Hulk stuff here looks impressive. And Scarlett Johansson is starting to win me over as the Black Widow; at least she looks great in that outfit. 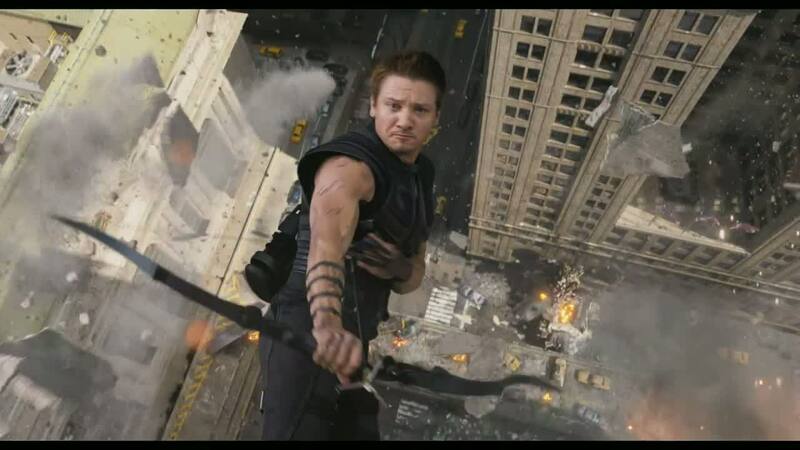 I'm not sure what to make of Renner's Hawkeye. The lack of a mask is odd to me. And, so far, we've not gotten a taste of the sort of quips his Clint Barton will deliver. I hope that Joss Whedon doesn't diminish the jerk-y qualities of the guy. He's a cool character precisely because he's a bit smug. 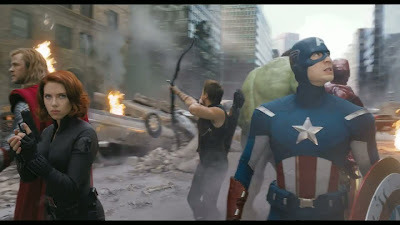 As a former villain, he's got a unique place on this team of heroes. I guess this time around, I feel confident that the film will be pleasing to me as a fan in some way. 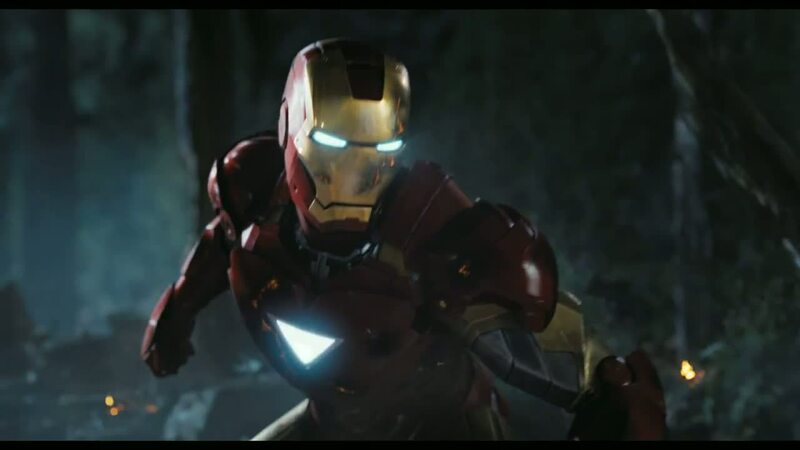 Iron Man (2008) was far better than I ever expected it would be, and last year's Captain America: The First Avenger (2011) did well by a character that I hold dear, so I'm fairly confident that the people at Marvel studios won't screw this up too badly. 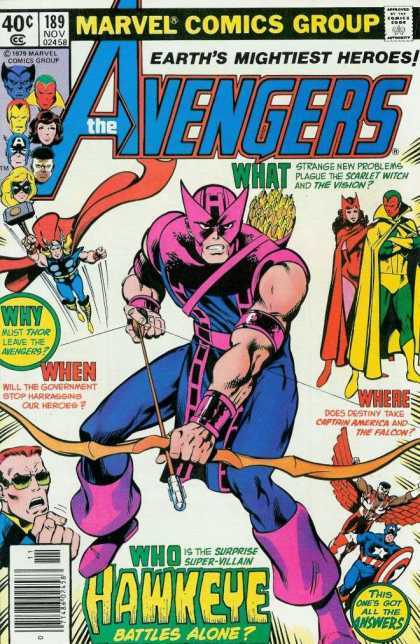 Besides, with a 50-year history behind this title, my perfect idea of The Avengers is not the same as the next guy's. There's no way to please every fan of such a long-running title. Just seeing Captain America, Iron Man, and Thor fighting side-by-side would be enough to get me excited. Then I'll just sit around waiting until they make a sequel with the rest of the characters that I love so much.